15 vs 30 Year Mortgage--What's the Best Choice? 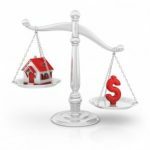 A 15 vs. 30 year mortgage–what’s the best option? It’s a question everybody who buys a home must answer. Here we provide the pros and cons of both mortgage types. I’ve had mortgages on the brain recently. When assembling our mortgage history, I was struck by the decisions we face along the way. 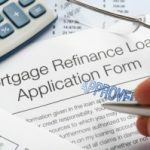 Aside from deciding when to refinance, the biggest decision we faced was what type of mortgage to get. While we could’ve (arguably) saved some money by opting for adjustable rate mortgages, we already have enough unknowns in our life. Thus, we quickly narrowed our options to fixed rate products. While there are some 20 (and even 40!) year fixed rate mortgages out there, 15 and 30-year mortgages are far more common. The higher payment on a 15-year mortgage might look scary at first. But it’s actually got some major advantages. For one, a shorter mortgage is amortized over half the total time of a 30-year option. A bigger chunk of that larger payment goes to pay down principal each month. That means that even if you’re paying the exact same interest rate, you’ll pay much less interest on a 15-year mortgage. But here’s the thing: you likely won’t pay the same interest rate. In fact, mortgage rates are usually significantly lower for 15-year vs. 30-year mortgages, all other things being equal. Combine that with the shorter amortization term, and you could save hundreds of thousands on interest. Plus, since you’re paying more towards principal each month, you’re building up equity faster. This is great for your net worth, of course. But if you have to pay private mortgage insurance until you have 20% equity in your home, it’s even better. You’ll hit the 20% mark faster so that you can remove PMI payments from your mortgage check. That breakdown makes 15-year mortgages sound like the way to go. But 30-year mortgages also have some advantages. The main advantage in a 30-year mortgage is the lower payment. Even with a higher interest rate, your monthly payment is likely to be lower with a 30-year mortgage. Sometimes it could be hundreds of dollars per month lower. If you’re just on the brink of being able to afford homeownership over a rental, a 30-year mortgage may be your best option. Getting into a home with a longer term mortgage at least gets you started building up equity in your home. And you can always refinance to a 15-year mortgage later on, should you choose to do so. But here’s the deal: those smaller payments on a 30-year mortgage will largely go towards interest for the first several years of the loan. 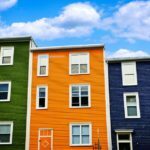 It will take much longer to build up equity in your home. With your credit score of 700-719, you get some great mortgage rates. You’re shopping for a mortgage of $200,000, and you have a 20% down payment saved. Note: If you don’t know your credit score, here are several free ways to get it. Let’s say your interest rate on a 30-year mortgage would be 3.7%. On a 15-year mortgage, you’d qualify for 3.1%. Not a big difference, right? Well, look at the math, first. We’ll use this mortgage calculator. In short, if you pay no extra payments on your mortgage, a 15-year mortgage could save you $81,059.30 over the life of your loan! That’s a lot of money. But don’t apply for that 15-year mortgage just yet. What if you’ve decided that you want to be mortgage-free as soon as possible? A 15-year mortgage is a no-brainer, right? Maybe, but maybe not. Depending on a number of factors, such as your income, job stability, and level of self-discipline, you might be better off taking out a 30-year mortgage and then simply over-paying it every month. The advantage of this approach is that you get the best of both worlds. You can pay your mortgage off in 15 years (give or take) while still having the flexibility to fall back to the lower payment level if you ever run into financial problems. Let’s say you take out the 30-year mortgage but decide to make the 15-year mortgage payment every month. So you’ll add about $470 per month to your mortgage payment. In this case, you’d pay off the mortgage in 15 years and 11 months, and you’d pay a total of $64,701.42 in interest. That’s a $66,700 savings above what you would have originally paid in interest on the 30-year mortgage. You’ll still pay more in interest with this plan than with the 15-year mortgage, of course. You’re paying a higher interest rate. But here’s the thing: while you’re paying off your mortgage more quickly, you’ll have tons of flexibility. Maybe you’re purchasing a home that needs some updates. So you make the minimum mortgage payments for a year and put that extra $470 towards home improvements. Then you kick that money into your mortgage for the next decade or so. You’ll still pay off your mortgage early and save, but you’ll also cash flow home improvements. Also, if you happen to lose your job or run into other financial difficulties, you can easily free up nearly $500 per month from your budget without risking losing your home. Alternatively, since mortgage interest rates are so low right now, you might decide not to pay off your mortgage early. Instead, you take that $470 per month and invest it. If you earn an average 7% return, you could easily out-earn the extra interest you’ll pay on your home! If you’re very motivated and self-disciplined, the 30-year mortgage could work well for you. You’ll just make the extra payments, but have some flexibility if you need it. What if you tend to spend all the money you have available? In this case, a 15-year mortgage forces you to pay off your home more quickly. If you don’t have a lot of wiggle room in your budget, a 30-year mortgage can get you into your first home more quickly. You can buy an affordable home, build up equity, and then try a 15-year mortgage when you refinance or buy your next home. What if you have enough room in your budget for a 15-year mortgage? In this case, you’ll build up equity much more quickly, which can help you move up in homes sooner if that’s your goal. If your goal is to invest as much as you can and you think you can beat your mortgage’s interest rate, opt for the smaller payment on the 30-year mortgage. Then, invest the difference in the payments. With today’s low mortgage rates, you could come out well ahead. But if you’d rather become as debt-free as possible before you start investing heavily, the 15-year mortgage helps you do that faster. The best place to begin here is with a clear understanding of your personal mortgage goals. Then, run the numbers for your particular situation to see which option works best for you. No one can predict catastrophic conditions. You can only try your best to make responsible, wise decisions that suit your family. Good post. When I was shopping for a mortgage on my current house (circa 1998) I found a good hybrid – a 20 year mortgage. The rate was somewhere between that of a 15 and a 30. I couldn’t afford the 15 year payment, but the 20 fit right in my budget and didn’t drag payments out too long. (I refinanced to 15 years within about 4 years of getting that mortgage with a much lower rate). We are considering moving and when we do I won’t consider a 30 year mortgage. We’re in our early 50’s and I don’t want to be paying a house payment when I’m 70+. I at least want to have options. Nickel, this was a great post. A great take away from this is to always run the numbers before making a big decision like this. For each person the circumstances could change from things like, interest rates, down payment, length of time you plan to live there, etc. By running the numbers you give yourself the best possible chance to make the right financial decision. How about getting a 15 year mortgage and making extra principle payments on it? That’s what we’re doing, and I couldn’t be happier. The 30 gives you flexibility, an extra cushion. It’s easy to add more to the payment if you decide to, but tough to take a 15yr mortgage and then find out you can really use that few hundred dollars per month. At the current 5% or so, consider that it’s very likely that short term rates will be above that. You’ll be able to invest the difference in fixed CDs or T-bills and get more than the 5%. I opted for the 15 year note when I bought my house. Home prices are low in my area so I am well within my income to pay a 15-year mortgage(20.5% of gross income, including tax/ins). I know most don’t have that luxury. It does worry me a little because if I lost my current job I doubt I would be able to make that much anywhere else in the area. I do have some other backup plans, though. I am currently single and the house could easily support 1-2 roommates, which could defray some of the costs. If I get married, then I would have my wife’s income to augment mine, even if she only worked part-time. Once I get my other debts eliminated and get some savings I should be able to support a family on my income alone and continue to make the mortgage payments. Ultimately it came down to risk/reward. The savings by going to a 15-year mortgage was worth the risk in my eyes. I will need to maintain a larger emergency fund to weather any storms that come along. I know plenty of people putting a larger percentage or their income on a 30-year mortgage than what I’m putting on a 15-year. #17 Kevin) That is what Nickel was suggesting too. It makes sense to take the 30, pay it like a 15, as long as you think that extra $9,464 in interest payments is worth it. You are “purchasing” an option for $9,464 to have the flexibility to have a $446 lower payment if/when you need it. Of course, if you actually do take that option and pay the lower payment, then it will cost you more than $9,464. If you take that option every month, then it ends up costing you an extra $123,942. It’s a personal purchasing decision, and I won’t fault anyone for purchasing something that they want (even though I’m against it). In your field, do you see people actually following through with the plan and make the extra principal payments? Floridian (above) quoted a statistic that 97.3% of mortgage holders are not paying more than the minimum. I’d always tell my mortgage customers to take a 30 year loan but pay it at a 15 year payment. That way they’d get teh benefit of faster amortization, but if they got into a tight spot financially they could always fall back on making the 30 year payment for a short while. Most of them loved the idea. With rates as low as they are, the difference in monthly payments between the two is substantial. Some people even refinanced out of 15 year loans and into 30 years because they couldn’t manage the payments! The rate difference between the two loan payments is too small to make a big difference. #15 Courtney) Yes, most mortgages are amortized monthly. Most second mortgages (HELOCs, etc) calculate the interest daily, just like credit cards. In our example, if you decided to put the $50k into a 2% savings account, you will earn $82.57 in the first month in interest on your savings. Investing the $50k onto the mortgage saves $203.70 in interest in the first month. The mortgage earns an extra $121.14 in the first month because it has a 5% return, versus the 2% return in the savings account. @ 11 – Thanks BG, that does make sense. I guess I wasn’t aware that the bank will recalculate your interest/principle ratio every month – instead was looking it as X = interest, Y = principle, and Z = extra principle in the sense of making your 360th principle payment early, then your 359th, and so on. #13) I hear you and agree. Don’t pay down debt (or invest) until you have the basic priorities covered first. The absolute priorities are: Insurance & Sufficient Savings (to cover the worst crisis you can think of). Only after those things are met, is there such a thing as ‘extra money’ for investing purposes. Accelerated debt payments is the same as investing. 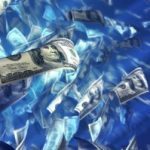 401k investing (when there is a company match) is a must, even if in debt (100% return on that money) — but you might consider investing in the StableValue fund until you have a sufficient emergency fund saved up outside of the 401k. Well… I’ve had bad things happen to me, and I still kept the roof over my head. It’s much easier to stay afloat through the lean times when your “required” bills are low. #10) An absolute must for you is to pay to have a Home Inspection (probably about $400 or so). They will go over the house you intend to purchase with a fine-tooth comb and find every fault in the place. If the house has a septic tank, you might want to purchase an additional Septic inspection (same for a Termite Inspection). You should have a real good idea of how much maintenance and repairs you will expect after getting the inspection report. Also, you want to be at the house during the inspection so you can grill the inspector and get a bunch of useful information (like how much does something cost to fix). We decided to not buy a home because of an inspection, worth every penny. Courtney) When you pay extra on your mortgage, you are paying down the principal part of the note. Every month, your bank looks at the outstanding principal balance and calculates how much interest you owe (for that month). For example, let’s assume you have a $100k principal balance, with a 5% yearly APR. Your next month interest payment is $407.41 (regardless if this is a 30-year or 15-year note — everyone pays the same). Let’s say your required payment is $900. The minimum payment amount is determined by the term length you chose. Out of your $900 minimum payment, $407.41 is going to interest, and the rest ($492.59) to principal. Let’s say you hit the lottery, and make a $50k house payment. The next month, the outstanding principal is now $49,507.41. The bank again calculates the interest on this balance for the next payment, which comes out to: $201.70. You are still required to pay $900 (normal monthly payment), but now more of the fix-payment is going towards principal, and less towards interest simply because there is a smaller balance on the loan. Paying extra on the mortgage, results in an immediate 5% growth of every dollar you ‘invest’ via the extra payments. This 5% growth continues for the life of the loan. If you instead put the extra money into a savings account that is only earning 2%, then you are going to come out shorter than the guy earning 5% by paying down his mortgage. Useful post: I am in the process of lookout for a home. This comes in handy to decide on mortgage. Also, wondering if anyone (@nickel or other commenters) can share their knowledge on this. When buying a house…how old is OK. I am not sure if I can buy a new one (mainly because of long commute). But wondering how much old is ok or whats the checklist. I do understand its the maintenance and upgrade and not really the year built, but it kind of wades off when I try to create a checklist to proceed further. Any help is appreciated. Maybe the thing to do is save the payments and make them yearly instead of monthly? Nickel: in response to the interest rate spread, unless you refinance, your payments (and interest rate) are going to be the same whether you pay an extra $400/month for 15 years or save $400/month and then pay $72,000 at the end of 15 years, correct? That is, making an extra payment today doesn’t affect my payment tomorrow, because I’m saving interest on the back end of my mortgage. Am I missing something? Courtney: Sure, you could do that, though you’ll continue paying interest at the going rate on your mortgage while collecting a pittance in your “high yield” savings account (currently well below 2%). Of course, as you point out, you will also have ready access to the money in the event of an emergency. That $446 a month is nothing in the big scheme of things. If things go wrong in your life, even the ‘lower’ mortgage payment of $1135 (not counting taxes and insurance) might as well be a million a month. You can drown in 6-ft of water just like in 600-ft of water. I’d rather have my mortgage with the lowest interest rate, and paid off even earlier — this way, if/when my financial life gets wrecked by something major (like a job loss), at least I have my paid-for house. Assume the odds of something financially bad happening is 5% every year (job loss, death of spouse, etc). If you can pay your house off in 5 years, then during this time, there is a 77% chance you can pay your mortgage off before the bad thing happens. If it takes you 15-years, then there is a 50/50 chance you can pay it off before the bad thing happens. With a 30-year, you only have a low 20% chance of making it to the end without the bad thing happening (very bad odds). The question is not if, but when you will be financially devastated — and what will be the repercussions of that event. Best case scenario is to have liquid savings, proper insurance, and debt-free — those are my goals above all else. One topic that should be considered is that of Net Present Value. I don’t have the time to run the calculations right now, but I do believe comparing interest paid on a 30-year cash flow is different than comparing interest on a 15-year cash flow. In that case, you’d be making an apples-to-apples comparison, which is the value of two different cashflows in today’s dollars. I wouldn’t worry about building equity, but I would worry about the additional interest payments you would be making by *not* paying it down early, if you have the capability to do so. We opted for the 30 year, with the flexibility (and intent) to pay on it like it was a 15 year (knowing it would actually take 17 years b/c the interest rate is a little higher). We did this b/c we were both FRESH out of college and planning to start a family as soon as we moved into a house. Neither of us had been at our job for more than a year when we bought (but we DID have the down payment – no irresponsible buying here!). We had no idea what to expect in life, so we wanted the flexibilty, even if it meant taking 17 years to pay it off instead of 15. And we have religiously stuck to OUR (not the bank’s) payment plan. We have not needed to fall back on the lower “required” monthly payment (ever). We’ve been very fortunate, and sometimes wonder if we should have just gone for the 15. Maybe our mortgage decision thwarted Murphy’s Law? ha! But knowing we still have the option of making lower payments is very comforting, especially with three kids and a stay at home parent in an economy like this! NOW – had we waited a few more years until we were more established, we would have chosen the 15 year. But we also would have paid A LOT more for our house! Is there any advantage, if you have the discipline, to set aside the extra principle payment every month in a high-yield savings account and once you have enough in the account to just pay off your mortgage in one lump sum? This way you would be earning some interest on the balance, and not tying up the money into home equity if you ever needed it for a huge emergency. This is very helpful. I’ve been struggling with the question for a while, and I opted for 30year mortgage which I significantly overpay (20-30%) on a monthly basis, however I am thinking of changing this strategy and start putting the excess money into investment account. I am guessing if I will not live in the house in 6-10 years, why should I build that equity? As always, this is PERSONAL finance, and the term length of a mortgage is a personal decision. I, personally, took a 30-year mortgage and like the option of extra payments… when I am ready to make extra payments.